Welcome, welcome friends! So excited you’re here with me. I’m a professionally certified LDS Life Coach and I am here to help you learn how to stop doubting yourself and letting those insecurities win and keep you stuck. My goal is help you learn how to develop amazing confidence so you can show up how you really want to in your life. How amazing would it be to do or go after the things you’ve always wanted to but were talked out of it by your insecurities? How different would your life be if you felt genuinely confident all the time? What would change for you? Let those questions marinate and please make sure to answer them! Because I want that for you. I want you to be able to live a life without fear of what other people are thinking of you. To show up anywhere you go with this burning light inside you. To be able to talk to anyone without getting sucked into comparisons, or fear, or insecurities. In my career I have the opportunity and great privilege to coach and talk to many, many people and there’s some consistent, common thoughts and beliefs that come up for just about everyone. So I want to start there. 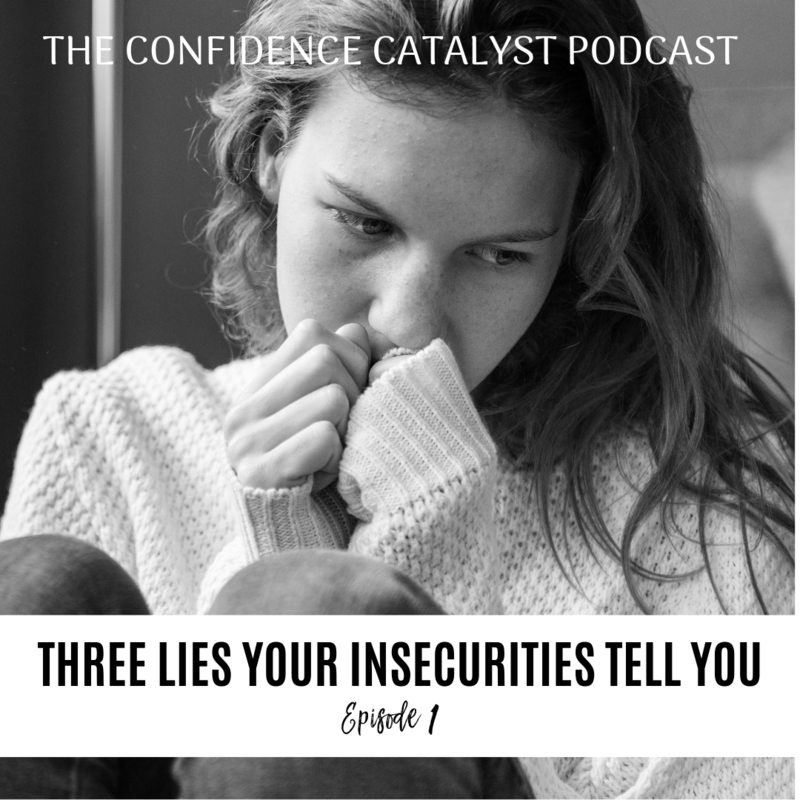 Today I want to highlight three main lies your insecurities try to sell you on. And I say lies because that’s 100% what they are but I’m guessing you’ve thought these at some point in your life – chances are, you still do. So I want to expose them for what they are and give you a little relief and hope that things aren’t as scary or sad as you may have thought. Think of all the things you’ve chastised yourself about with this one. You’re not pretty enough, skinny enough. You’re not smart enough. You’re not talented enough. You’re not fun enough. You’re not enough of a human being. What does this even mean? Have you thought about it? REALLY thought about it? Where it the measuring stick that tells us when we’re enough? I want to see it. I’ve been looking for decades and have yet to find it. I used to believe this too. I wasn’t enough and when I thought that and more importantly, when I believed that I felt terrible. I withdrew because, who am I? I’m the one not good enough. Who would want to see or hear from me? And we do this. We stop showing up the way we could have or want to even but we hold back because we have this deeply rooted belief that we’re just not enough. So here the deal with this thought. There isn’t a measuring stick. There aren’t any set rules that say, when you get to this point THEN you’ll be enough. I have worked with so many women on this exact belief and many of them are professionals in their fields. They’re amazing. To me they’re incredibly talented, so smart, in amazing shape – all the things and still there’s this nagging belief that – they’re still not enough. I used to have this thought that when I weighed a certain amount THEN I’d be enough. So I worked really hard at the gym, ate less than 700 calories a day – and I got to my high school, pre-kids weight and you know what? It wasn’t enough. I still didn’t look the way I wanted. I still felt less than only now I was starving and cranky and it was not a fun period for me. This enough-ness isn’t real. You’re always going to be chasing something more thinking that when you get there then you’ll be enough – then you’ll be worthy of love, of praise, of connection. But those feelings, that feeling of worth, confidence doesn’t come from external sources. You can be the most accomplished, gorgeously thin, amazing person and still feel lacking and not enough. This is because that feeling doesn’t come from what you DO. It comes from inside. This is so true. You are enough right now just as you are. There isn’t a measuring stick. We need to move away from that toxic belief. “You didn’t come to earth to gain your worth, you brought it with you”. One of my favorite quotes from Gordon B. Hinckley says, “You are a child of God of INFINITE CAPACITY”. You aren’t just enough. Enough isn’t really the goal because that’s a downgrade to what you already are. You aren’t enough – because you are MORE than enough. This includes you. You are not a mere mortal. You aren’t striving for enough ness because you’re already there and THEN SOME. You are more than enough and whatever it is you think you’re missing isn’t out there. You won’t find it by hustling. You don’t have to be afraid you’ll never have it because, it’s inside of you. What you really want is inside of you already. It’s the feeling you’ll get when you get what you thought you wanted. When I’m skinny enough THEN I’ll feel pretty. When I make x amount of money THEN I’ll feel successful. When I get so many followers, praise, validation THEN I’ll feel like I’m enough because people like me. But here’s the magic. What you want isn’t the perfect weight, money, praise. Because what you really want is how you’ll feel AFTER you have those things. When I’m skinny enough I’ll feel pretty. You don’t need to change a single thing about your body, your appearance, anything to feel how you want to feel right now. Because feelings don’t come from external things. Feelings come from your thoughts. Right now the feeling of inadequacy is caused because of a sentence in your mind. How mind blowing is that? Did you ever see the movie, I feel pretty? We bought it edited off this great site, Cleanmediadvds or something like that – check it out if you’re interested. But in the movie she wants to be beautiful and she believes she’s not so she’s quiet, kind of reserved, holding back because who is she? Then by some accident she hits her head and wakes up believing that she’s this supermodel and everything changes for her. She goes out and applies for this job at a top fashion/make up company. She starts showing up in a bold way because she feels confident but really, nothing external has changed. The only thing that changed was her thoughts about herself. Isn’t it amazing that you can experience the same kind of phenomenon just by learning how to change your beliefs? That’s really what this whole podcast is about so I’m going to keep teaching you how to do all that. But for right now, I just want you to start questioning some of the thoughts holding you back. Like, you aren’t enough because you are. I love what Byron Katie teaches about questioning thoughts. Think of one area you think you’re not enough in. Got it? she likes to ask, “Is it true?” Ask yourself that question. Next she says, “Is it really true?” A lot of times the first question we’re like YES, it’s true! I’m not enough. But then the second time, is it really true? Can you absolutely positively know it’s true? Can you prove it? Is there a blood test you can take that says, YUP, this one…not enough. No, right? It’s not true. Think about this. When you think the thought, “I’m not enough” how does that feel? What happens? What do you do? When I believed I wasn’t enough I felt small, worthless, insignificant and because of those feelings I withdrew from people. I cried. I didn’t want to see or talk to anyone or try anything new. I wasn’t motivated to speak up or do anything because I truly believed I wasn’t enough. This one is pretty powerful. If you truly didn’t believe that thought – who would you be? How would you feel? What would change for you? You’d be free, right? Confident. Loving. Fearless, maybe. Think about that and answer that for yourself. Who would you be without that thought? Do you think maybe it’s time to start letting that one go? If when you believe it, it only brings deep pain and suffering why would you want to keep holding on to that? I’m sure you’ve got a lot spinning in your head right now probably something along the lines of lie number two your insecurities tell you which is: There’s something wrong with you. At our very core we all fear that something is deeply, inherently wrong with us. Everyone else is fine. Sure they’ve got their issues but something wrong with them? No. They’re all normal. It’s just me. Something is wrong with me. This is a lie. Thinking and believing this thought is poisonous and has such a huge effect on our self worth and confidence. This belief creates shame. Shame isn’t a feeling widely talked about and I think most of the time mis-understood. It’s a feeling universally felt that people experience more than they realize and it alters the way we show up. People with this mindset are more prone to defensiveness. It’s hard to accept criticism for even the tiniest things because to them it’s not a tiny thing, to them it’s proof that something IS wrong with them so they argue, “no, it’s not like that. See?” And they’ll react defensive because to them, it’s a much bigger deal and meaning than whatever is factually at hand. When your brain wants to take you here I always encourage stating facts. Provable, circumstantial facts. I worked with a woman once who struggled with this. She worked in an environment where there was a lot of meetings and collaboration which meant that when it was her turn to present her project it was going to undergo some feedback. Just like every project before hers but that was different. That was them. The feedback was about their project and not them. But when it was her turn, each comment, each critique, each suggestions felt like an attack and a sting. She’d argue why she did that or why she thought it should be that way. Deep down she knew the project wasn’t flawless but she couldn’t separate the feedback from the project to self. The feedback didn’t feel like it was about the project, it felt like its was about her. Her idea wasn’t good enough. She wasn’t as good as so in so. She couldn’t ever get it right. And she’d walk away from those meetings feeling something she couldn’t pinpoint at the time. Which she learned was shame. Shame is the feeling like something is wrong with you. Guilt is, I made a mistake. Shame is, I am a mistake. Notice when you’re feeling that. This line of thought triggers shame and shame likes to hide. When you find yourself withdrawing, not wanting to talk to anyone, not feeling like texting, reaching out, smiling. You just want to find a corner and hide, which isn’t good because then you’re left alone with the thoughts creating the pain in the first place. Think about this when you’ve been anywhere and given advice, feedback, suggestions. At church, in your callings, with your spouse, or friends. You say something and they say something back and feel like you just want to shrink away and hide. Notice this is shame. It doesn’t mean anything is wrong. It’s just a feeling. Just start being more aware of when it comes up for you. Here’s something you can do, start by separating the facts vs the drama or fiction. Make a T grid of what was actually said. The feedback actually given, not from how you want to interpret it but the actual words said -just the facts. This is really helpful because we’re really quick to interpret the circumstances to mean something about us. And if you’ve practiced thinking something is wrong with me in your mind, that’s what your mind is going to look out for. So every bit of information gathered in is going to go through that filter. Which is why you interpret the words said, the looks given, even their posture, or lack of enthusiasm to mean something about you. But when you can write down what really happened without adjectives. Adjectives become interpretive, right? So you can’t put things in there like, “She was scowling at me” – because that’s interpretive. So on the factual side you’d write, “She looked at me”. It gives you an opportunity to see possibility. It’s possible that maybe she wasn’t scowling at me. It’s possible I misinterpreted that. Do this anytime you’re stewing or ruminating on an event. Separate out the facts – the plain facts – no adjectives or flair, leave it bland and “boring”. Then see where your own interpretations are interfering and add in the hint of possibility. It’s possible maybe they were just adding in a suggestion instead of attacking me. Is is helpful for me to think I’m awful? No. It’s not. It feels horrible. Then maybe you want to question it. It’s possible there’s another option to think. I like to add the tag, “and it’s okay” to the end of my sentences when I’m starting to drift downhill. “I made a mistake, and that’s okay.”- Let yourself be human. Be kind to yourself. Just adding that tag offers relief and takes the pressure off of you. It’s okay. You’re still whole, valuable, and have so much to offer. Remember this, nothing is wrong with you. Absolutely nothing. You’re a child of God, a perfect being. Perfectly just, perfectly merciful, perfectly loving. He doesn’t make mistakes or “wrong things”. We’re human. We make mistakes all the time and it’s okay. You are okay. There is nothing wrong with you. People believe that they can’t change because it’s just who they are. They’ll always be that way. They’re different. Everywhere they go, for as long as they can remember they’ve been different. They feel like they’re the odd one out or never quite fitting in. Even surrounded by people this thought is present. It’s a fuzzy thought that just kind of hangs there. So wherever you go, whatever age you are – you feel like you just don’t quite fit in. That all the books, happy podcasts, church lessons, whatever it is – all good and grand for all “those” people but I’m different. It won’t work for me. This line of thinking will never help you progress. Believing this will keep you stuck and small. We have the divine gift of agency. If you don’t like something, even about yourself, you have the capacity to change it. The scriptures are chalked full of people that have completely changed their lives, their direction, their focus, and purpose. You’re never stuck. You can change if and when you want to. Here’s the thing, you are different. You are unique. You are amazing. In this capacity, you are a special snowflake. There is no one as you-er than you.- thanks Dr. Seuss for that one. But you weren’t meant to be small. You were meant for more and that’s what I want to focus this entire podcast on. Teaching you, proving to you again and again that you were meant for more and that you have the capacity to fulfill your divine purpose. There isn’t anything wrong with you. You are different but in an amazing way. We’re supposed to be different. We’re supposed to stand out. Accept that it’s possible that you are different and that it’s amazing to be so. You can have what you really desire. I’m so happy to be here and bring you these tools that literally transformed my entire world. It is possible to overcome your insecurities and doubts. It is possible to live an amazingly confident life full of connections, and love, and possibilities. I’m excited to bring you current content to help you on your journey! 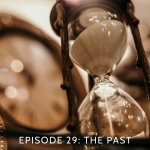 If you’re ready for more now head over to my website www.thecatalystcoaching.com – the catalyst because YOU are the change that creates what you really want. It’s not external. It’s you. You’re the catalyst. I send out amazing weekly content in my Think About It Thursdays that you’re going to want to join in on. And if you’re ready to up level your life schedule a free consult call with me and get intensive training and coaching on your specific circumstances. I’m here for you because I know how much impact one life can have on their family, their community, their world. So let’s get you shining again, my friend.